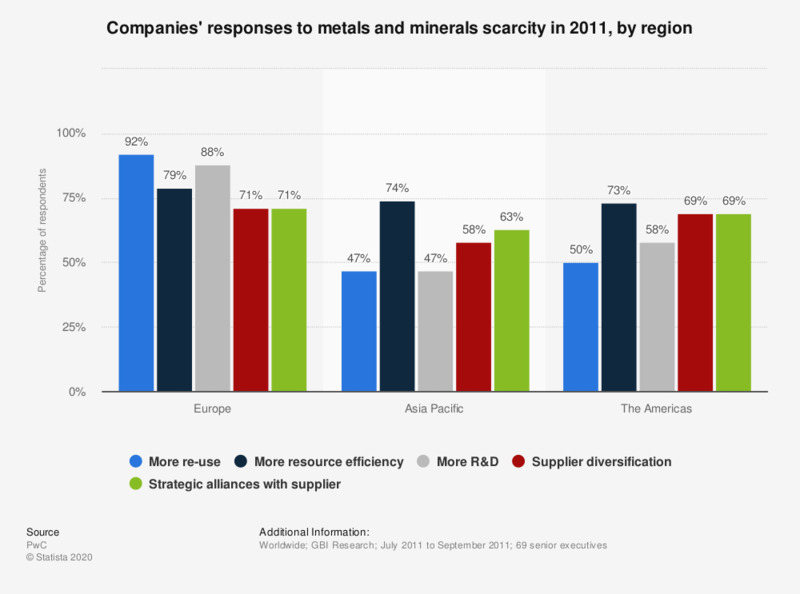 This statistic shows the responses of companies from three different regions to the issue of metals and minerals scarcity. Some 88 percent of respondents from Europe advocated more spending on R&D as a way to overcome this problem. Interviews were conducted with 69 senior executives in seven different manufacturing industries across three regions (The Americas, Asia Pacific, and Europe).